THIRUVANANTHAPURAM: Come October, the Thiruvananthapuram Central railway station will be equipped with free wi-fi facility. The high speed wi-fi will be among the passenger amenities to be introduced at the station by RailTel Corporation of India, the telecom wing of Railways in association with Google. According to a railway official, the work to introduce wi-fi facility is progressing fast and will be completed in a month. "Though the capacity of network in each station is 1gbps, the downloading speed will depend upon the number of users and the devices used to access wi-fi. A minimum downloading speed of 20mbps will be available for the first one hour. The facility is well utilized by passengers at Ernakulam Junction railway station," said the official. The work for the installation of wi-fi facility had begun about a month ago. Currently, local access network (LAN) on optical fibre is being created in the station for installation of access points. Around 50 access points will be installed in the station for the network with coverage of 60 meters. The capacity of bandwidth in each station is 1gpbs. Thiruvananthapuram is among the 100 stations across the country selected by the Railways to have wi-fi facility by year-end as part of the first phase of the project in association with Google. The plan to charge an amount after 30 minutes of usage when first introduced in Ernakulam in April is yet to be decided by Railways. Earlier, it was decided to launch the facility in Thiruvananthapuram after Ernakulam, but was later shifted to Thrissur and Kozhikode. 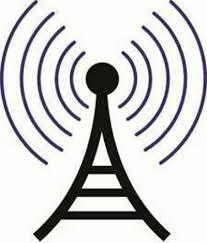 "The wi-fi facility was planned to be inaugurated at Thiruvananthapuram by August. It was due to the priorities given by railway board, the wi-fi facility was installed at Thrissur and Kozhikode before Thiruvananthapuram. Next, the wi-fi facility will be introduced in Kollam railway station. The tariff rates are not decided and it will be free till December," added the official. The facility at Thrissur will be officially inaugurated by Union minister for railways Suresh Prabhakar Prabhu at 9am on Monday through video conference from Kozhikode. He will also inaugurate an escalator at Thiruvananthapuram Central railway station constructed at a cost of Rs102 lakh in the event. Wi-fi facility will be introduced in 37 stations in the second phase next year. A medical emergency centre, online booking of retiring rooms, AC paid waiting hall, food plaza and Janani Seva are the other facilities which are introduced at the station recently.